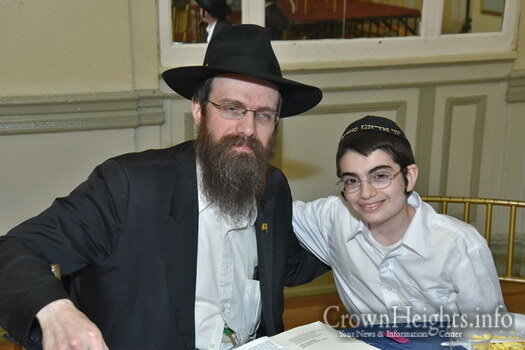 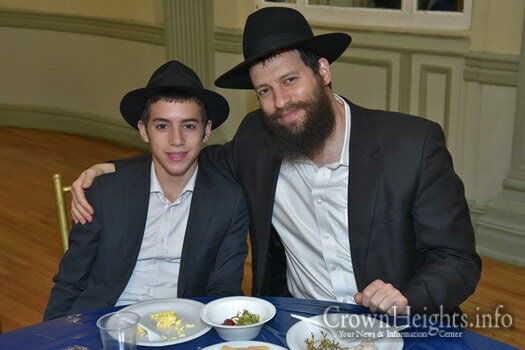 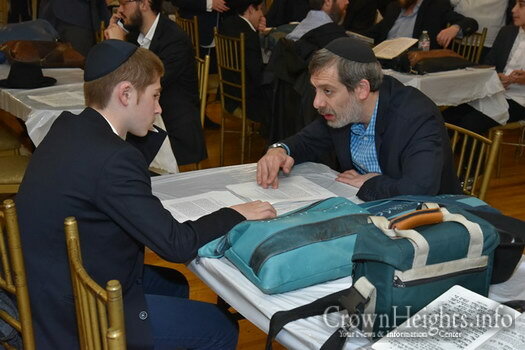 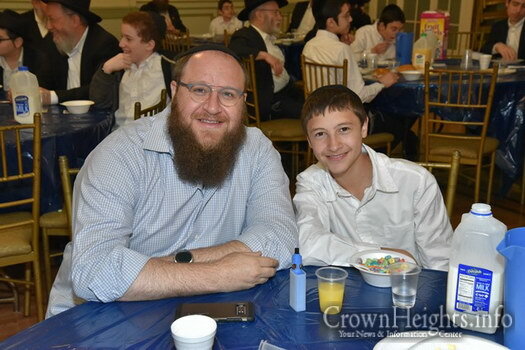 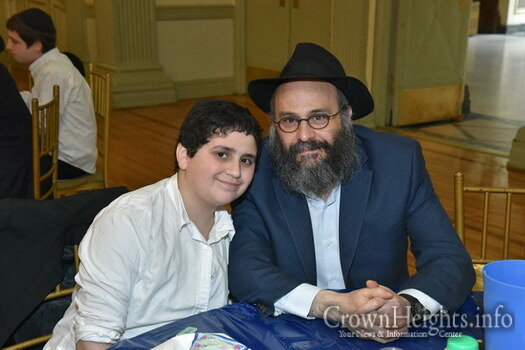 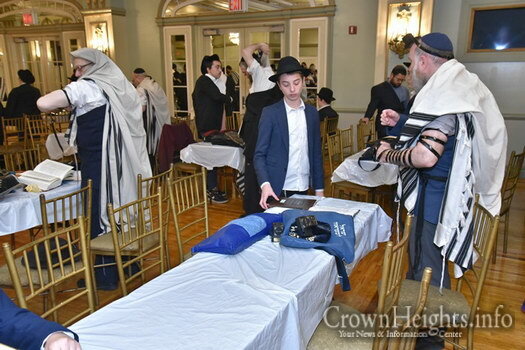 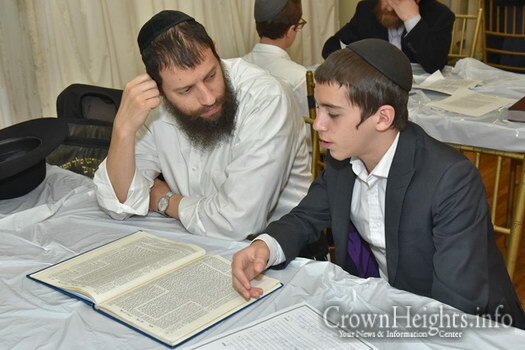 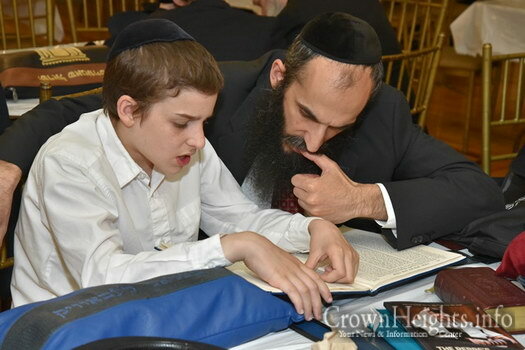 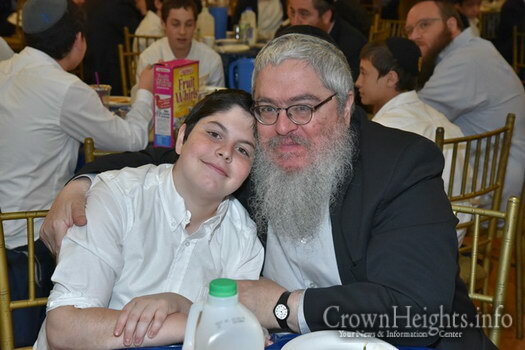 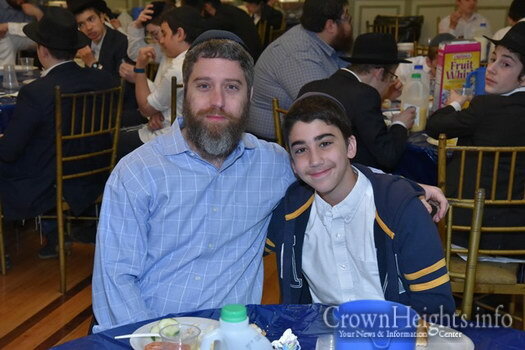 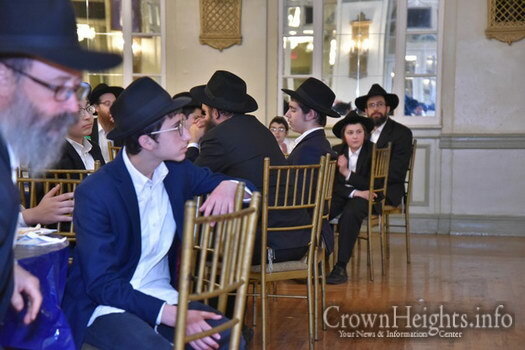 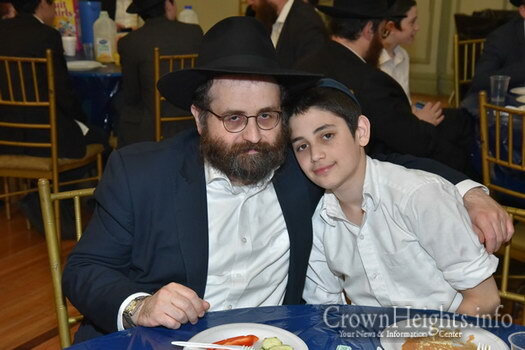 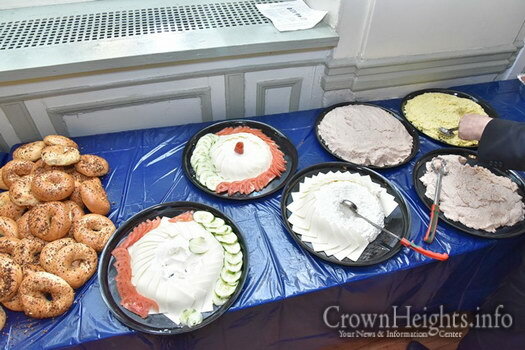 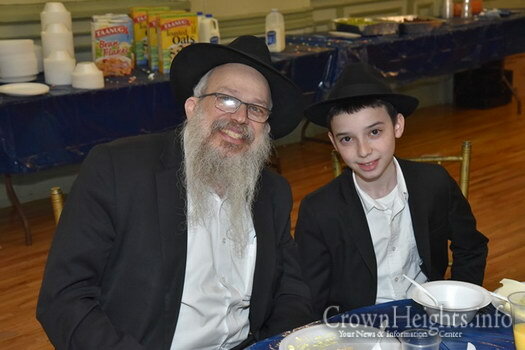 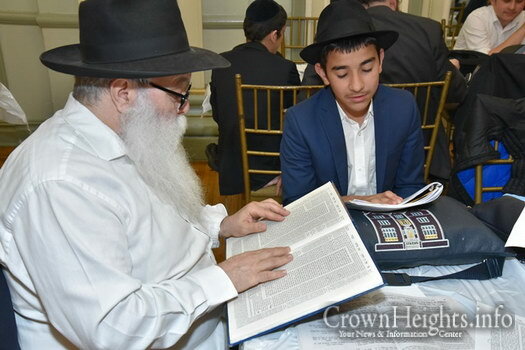 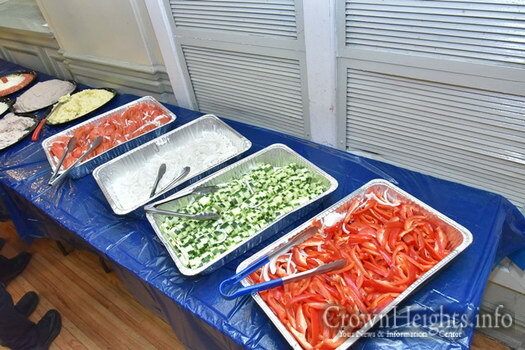 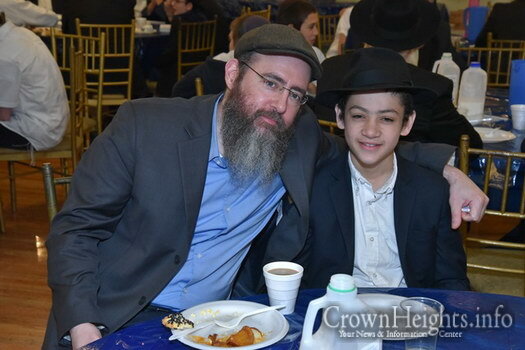 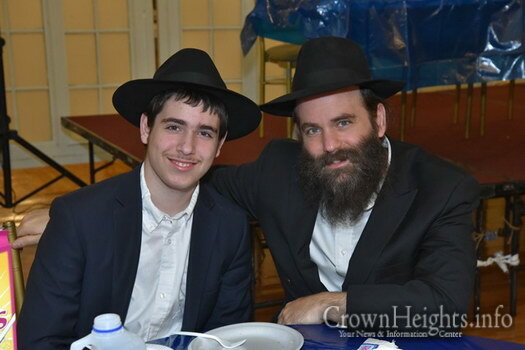 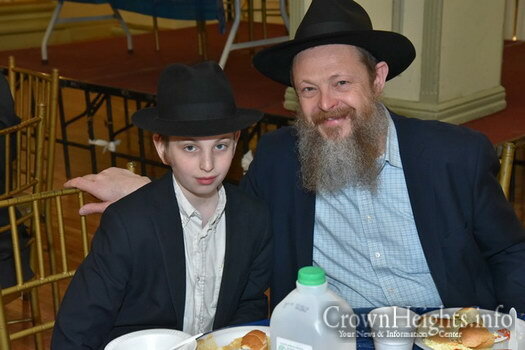 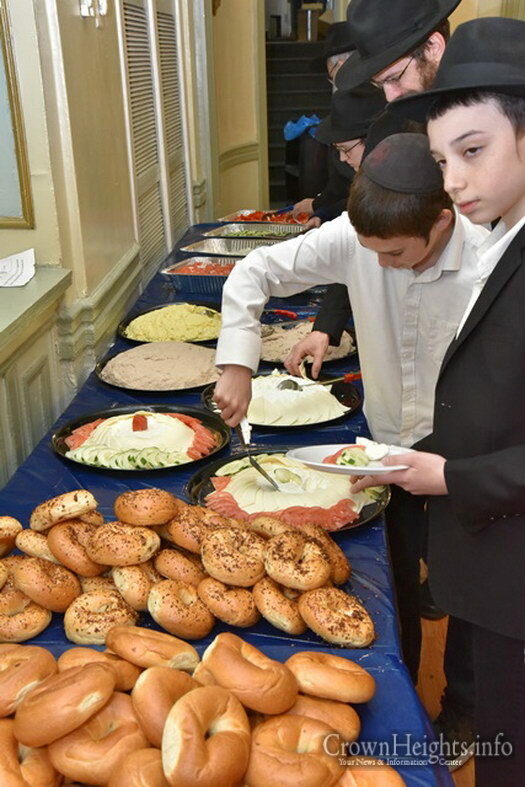 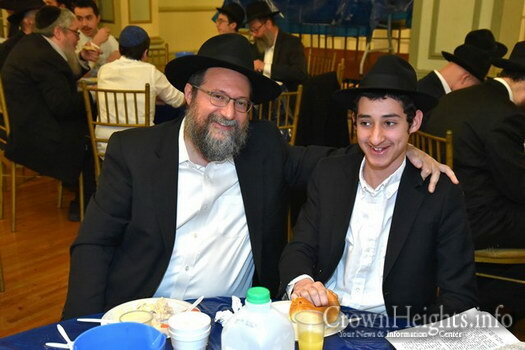 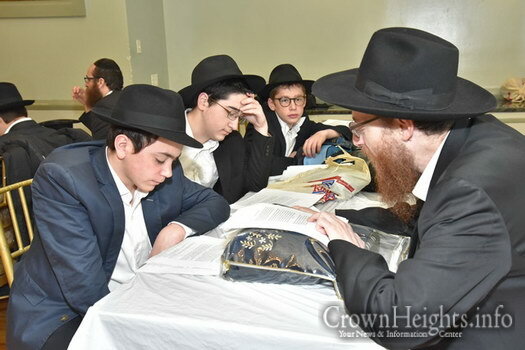 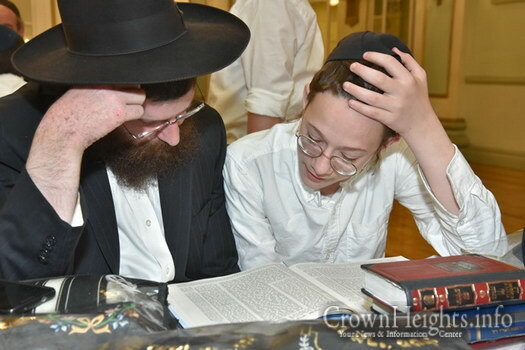 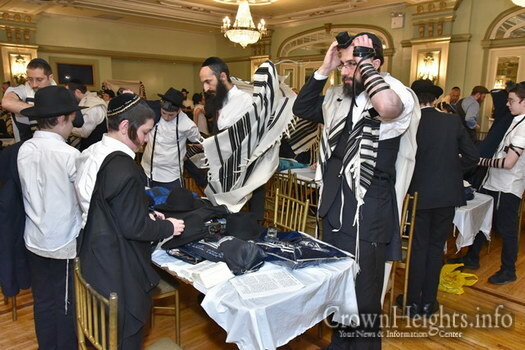 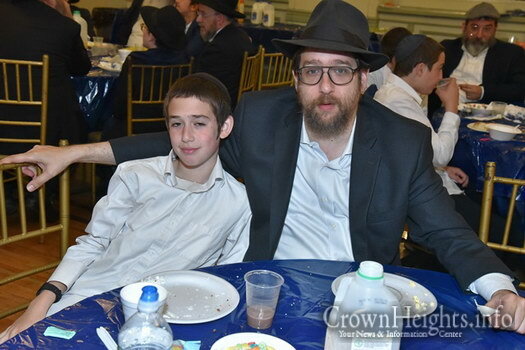 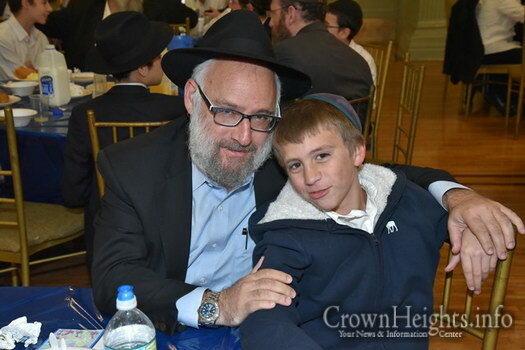 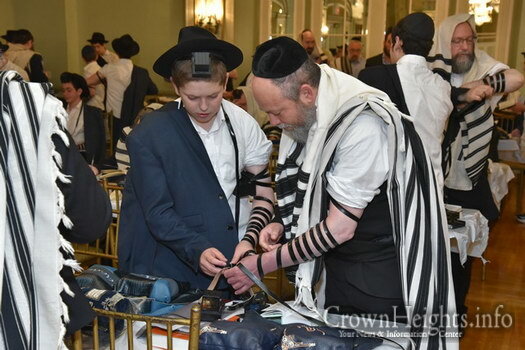 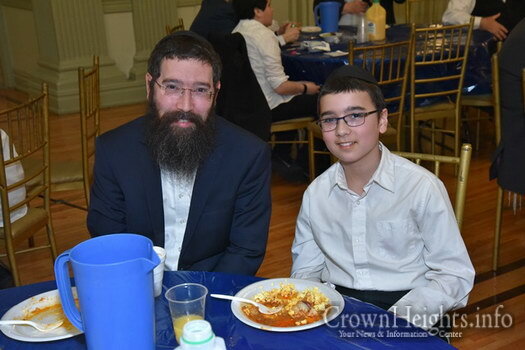 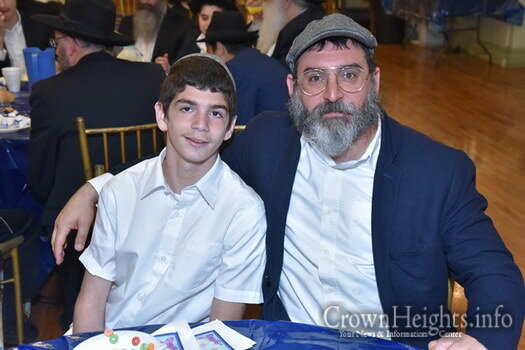 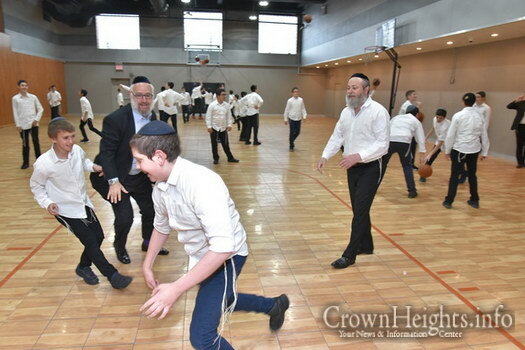 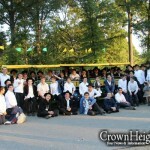 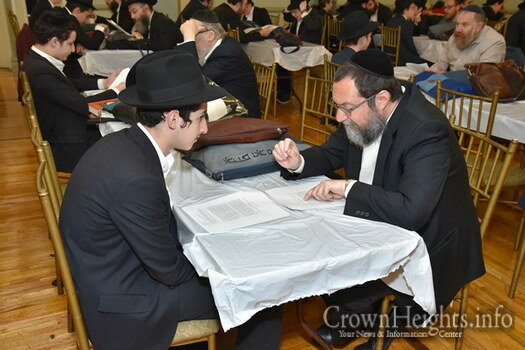 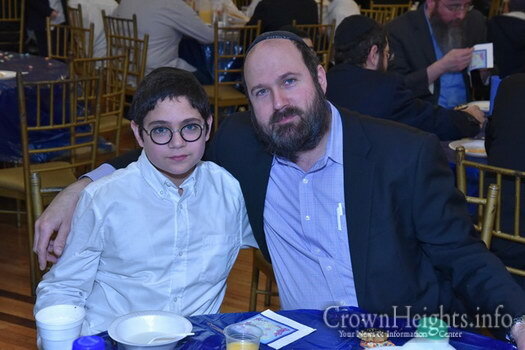 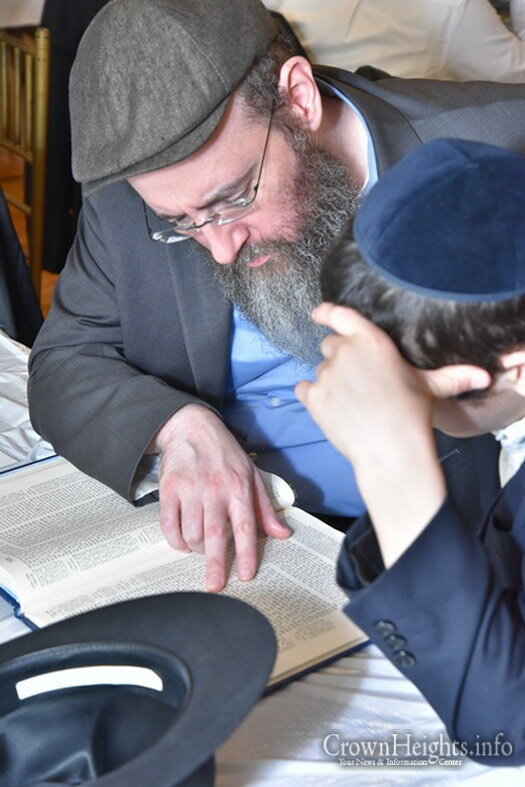 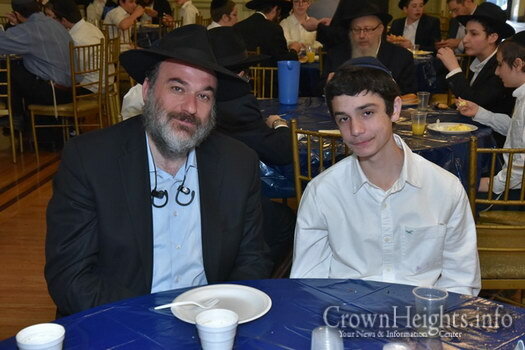 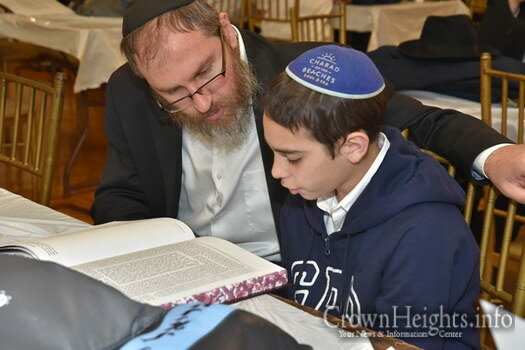 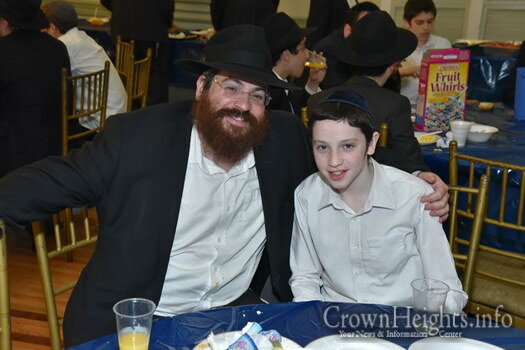 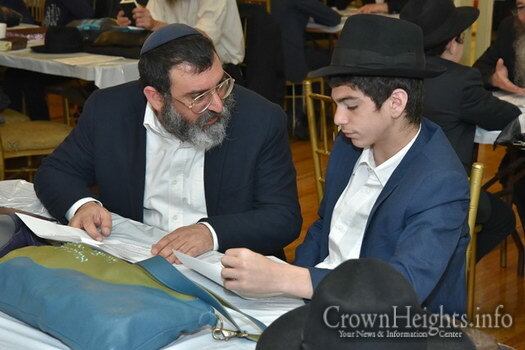 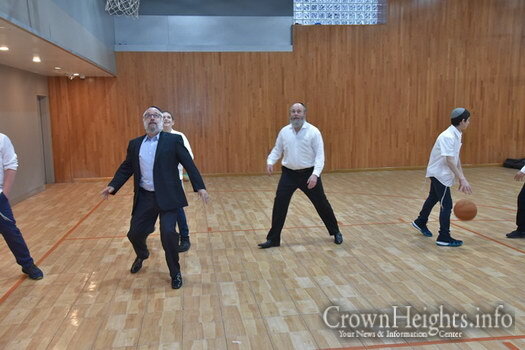 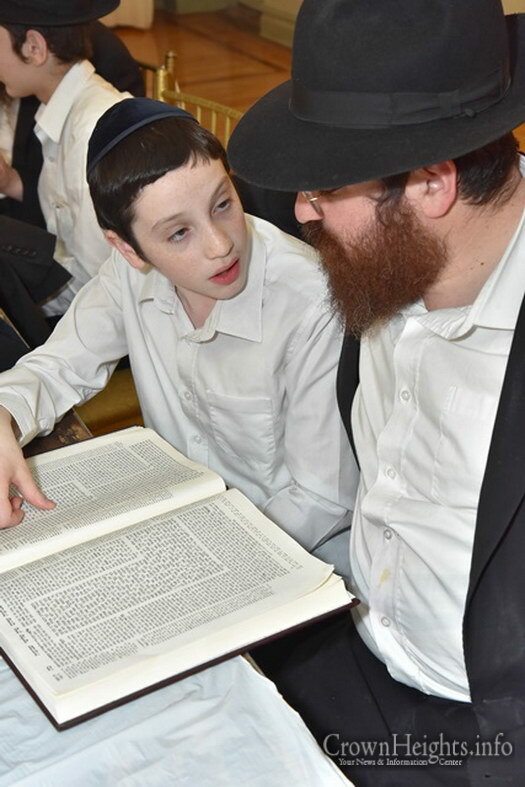 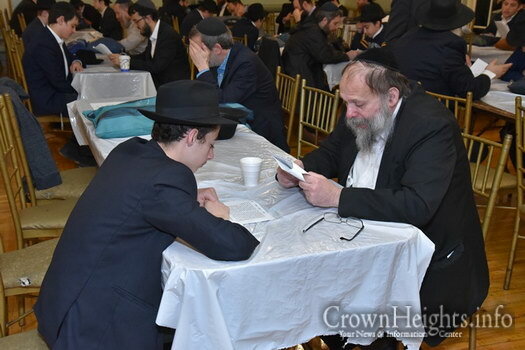 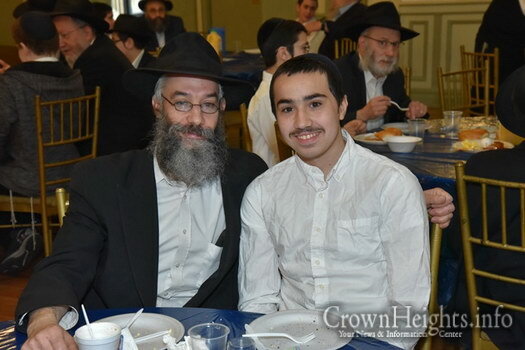 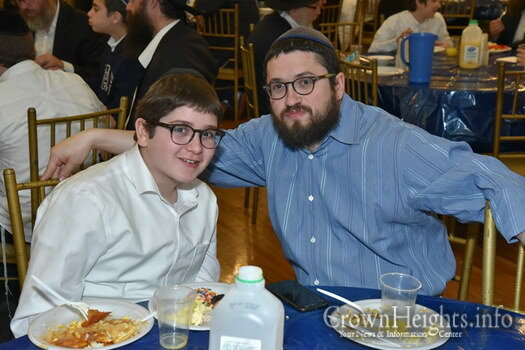 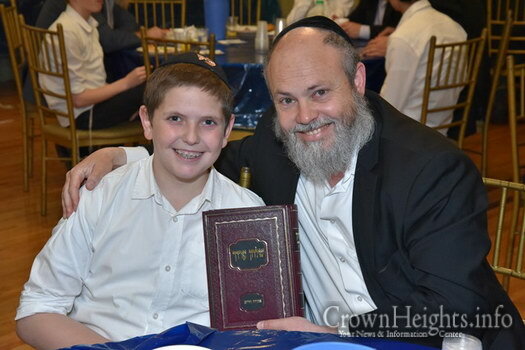 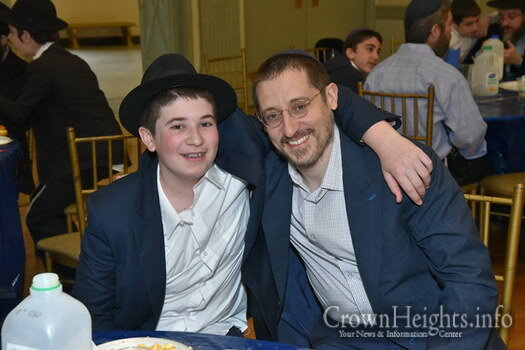 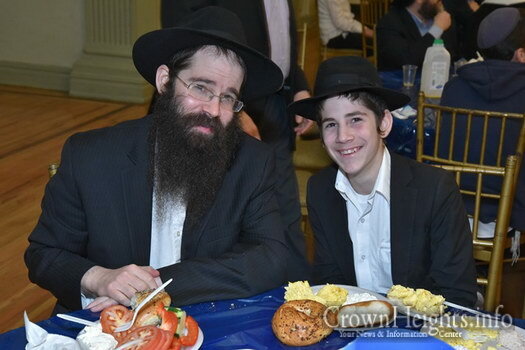 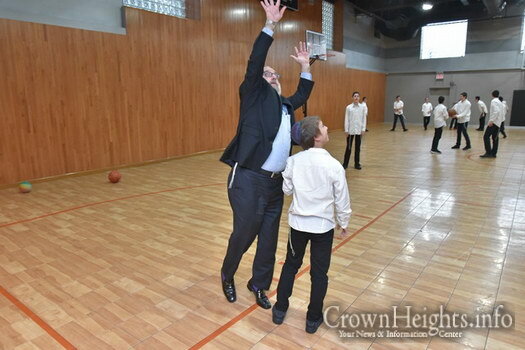 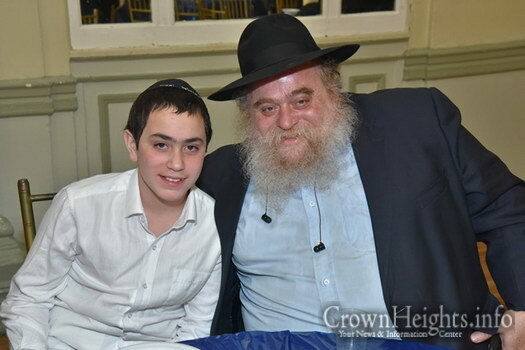 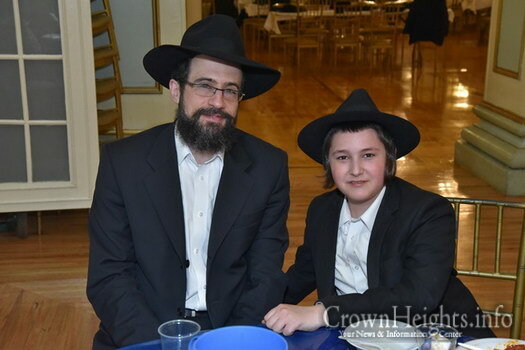 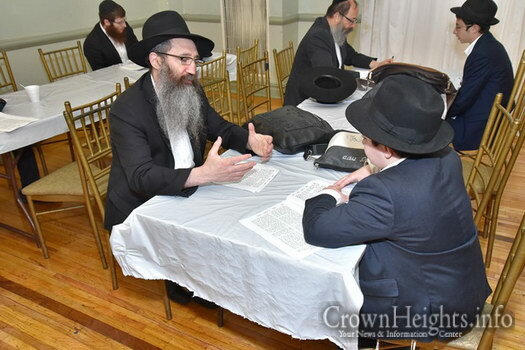 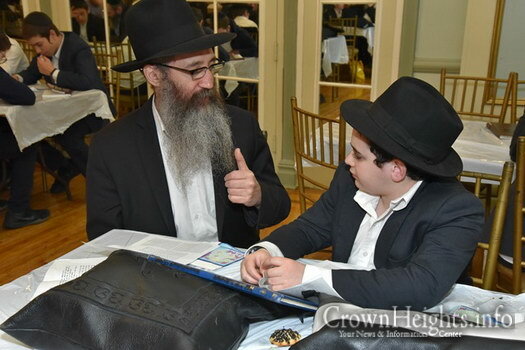 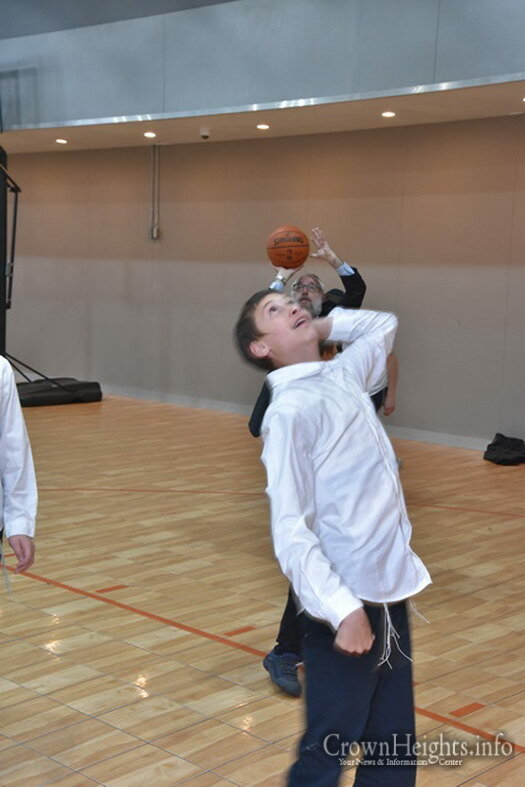 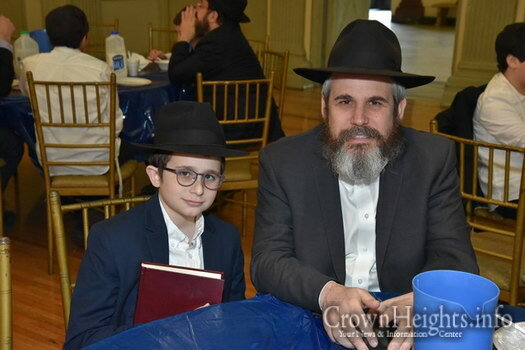 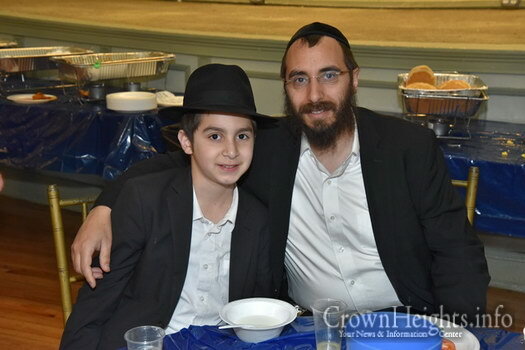 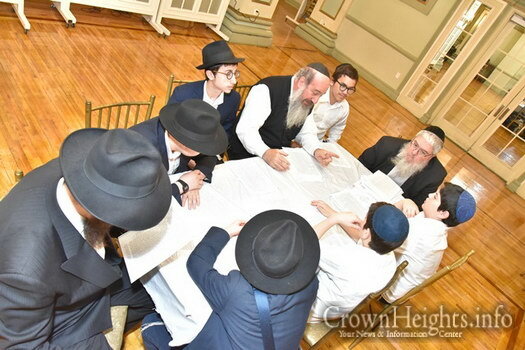 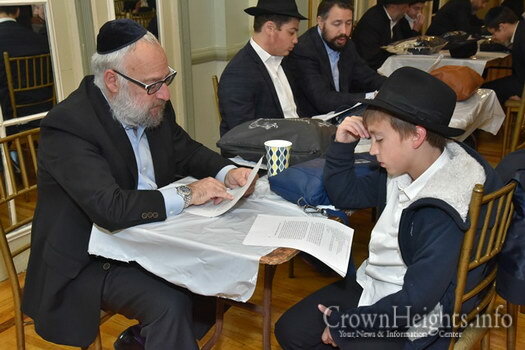 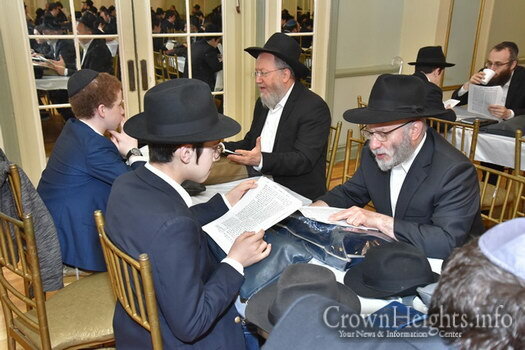 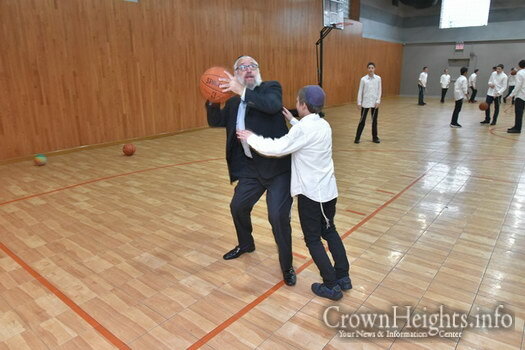 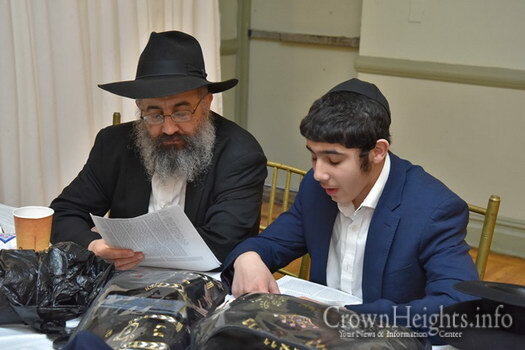 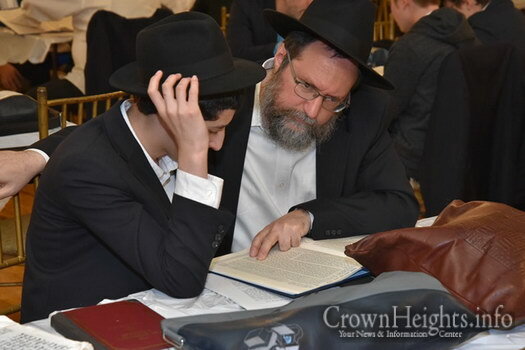 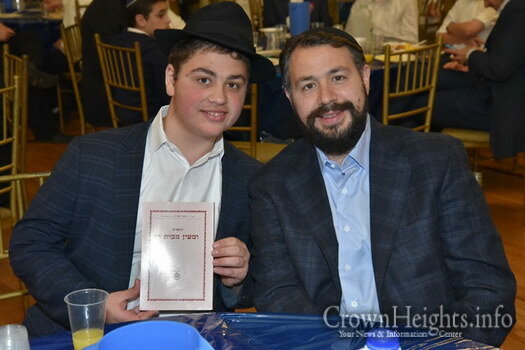 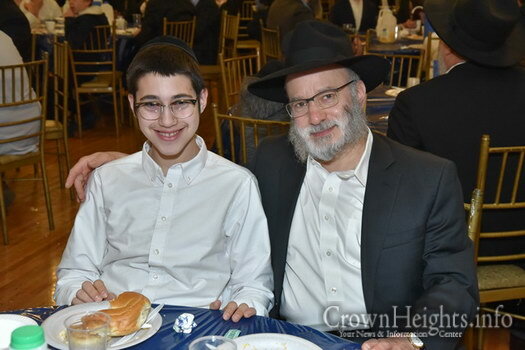 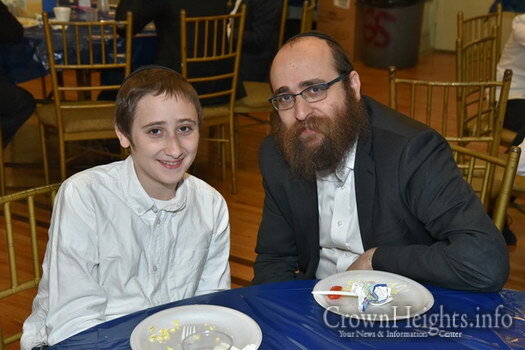 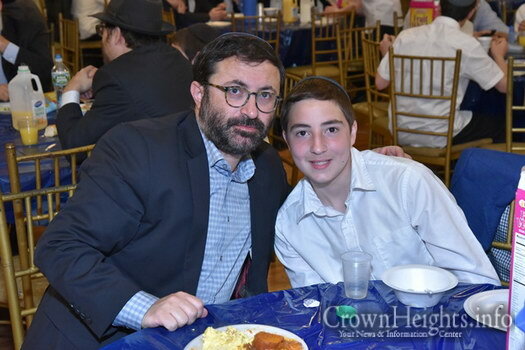 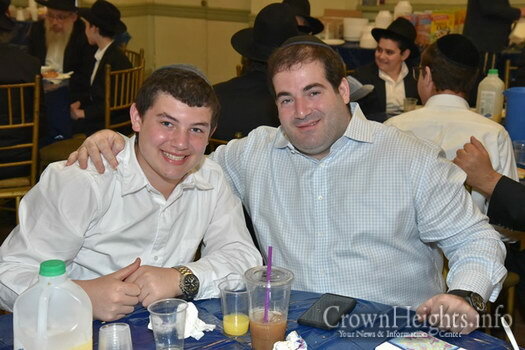 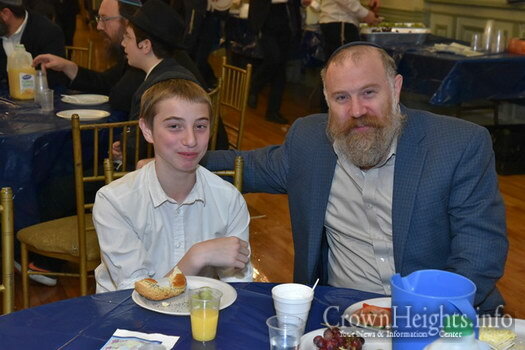 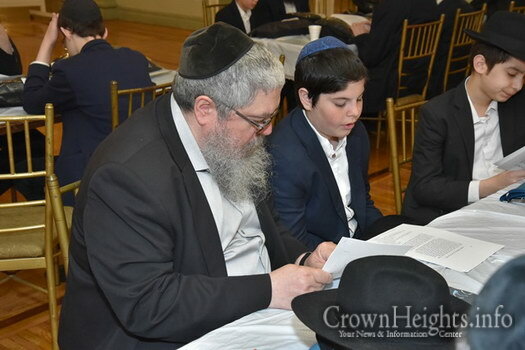 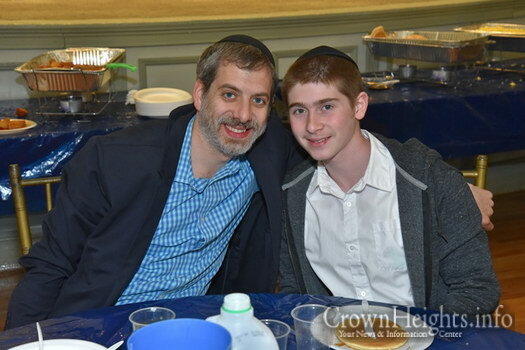 What has become an annual event for the eighth grade of Oholei Torah, is the Father and Son day in Yeshiva. 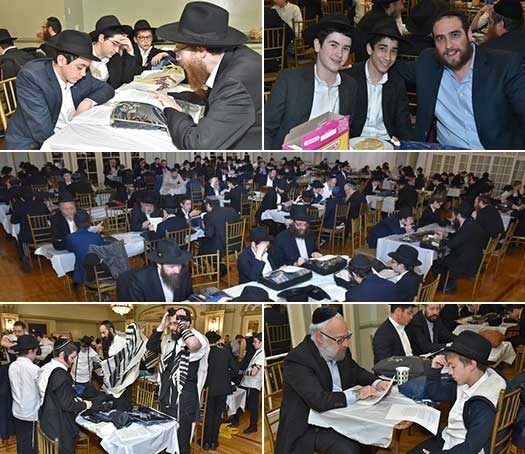 This year’s event was held this past Sunday. 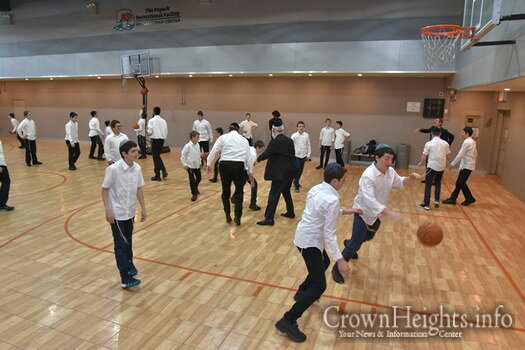 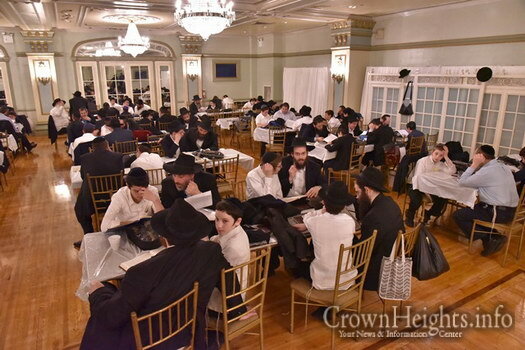 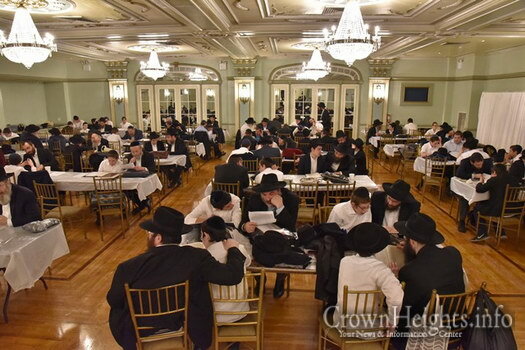 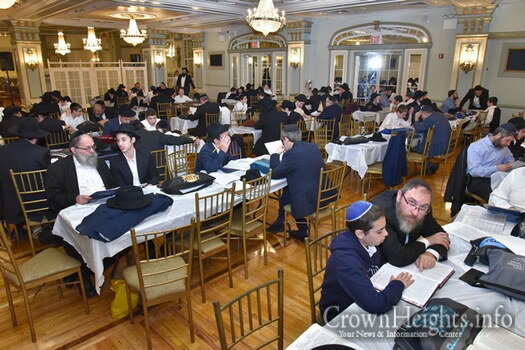 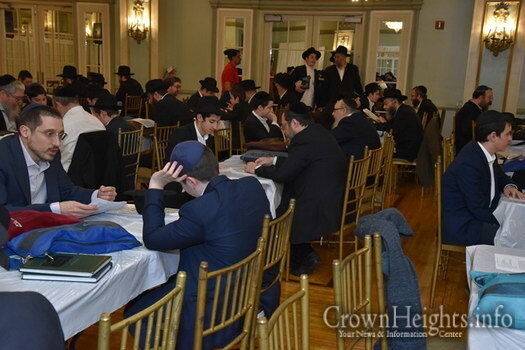 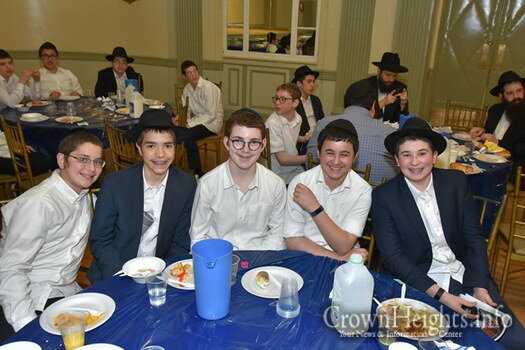 Beginning with Chassidus, followed by shacharis, breakfast learning and even recess, the fathers all got a chance to experience a day in yeshiva, and have a better understanding of theirs sons day and schedule. 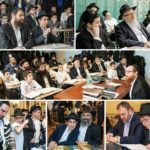 Unique to the day was an open discussion led by a group of fathers about importance of being a chasideshe bochur, Lea​rning And ‘Kochen’ in Nigla, importance of davening with the minyan for a successful day, and what a Chasidishe farbrenegn does for the Neshamah, and the impact it has even years later. 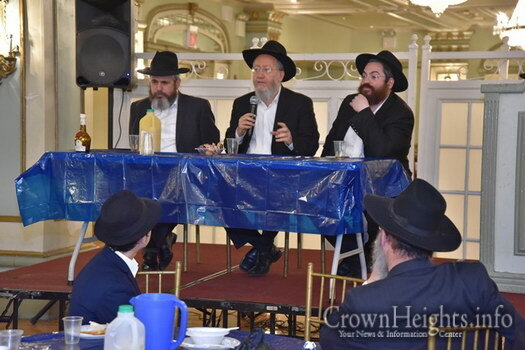 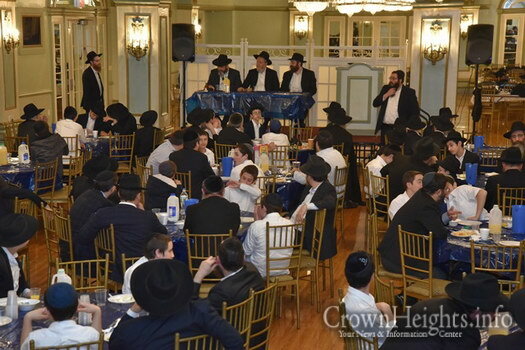 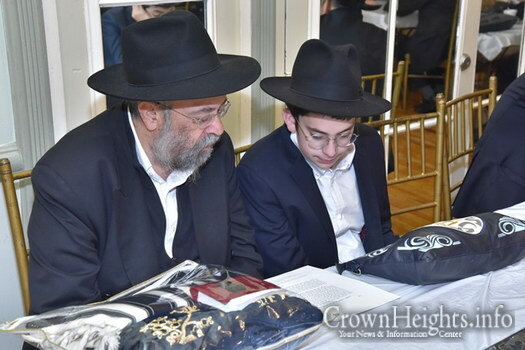 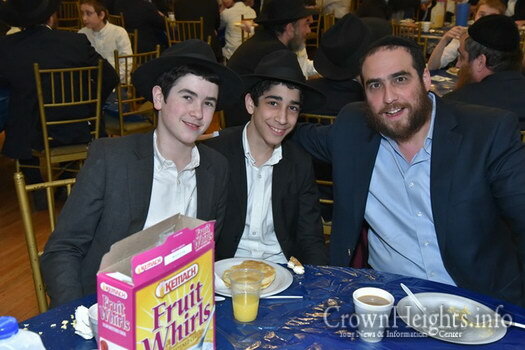 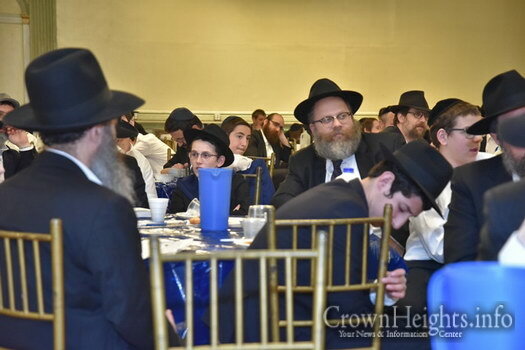 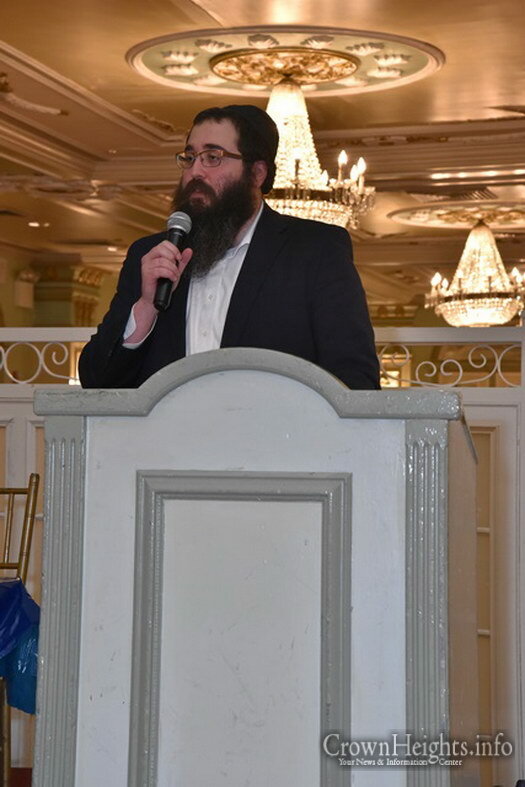 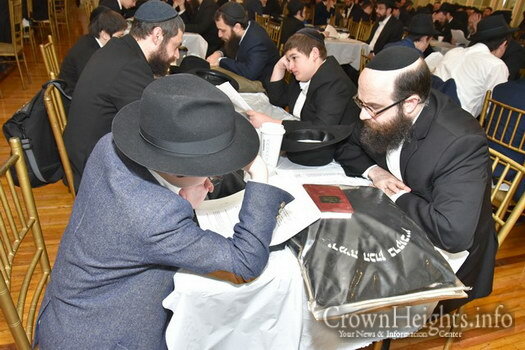 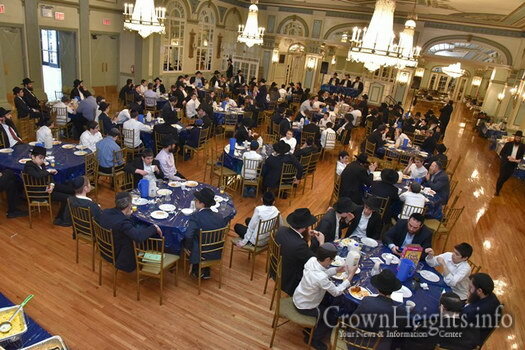 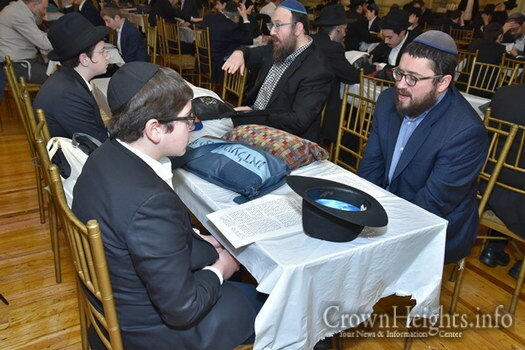 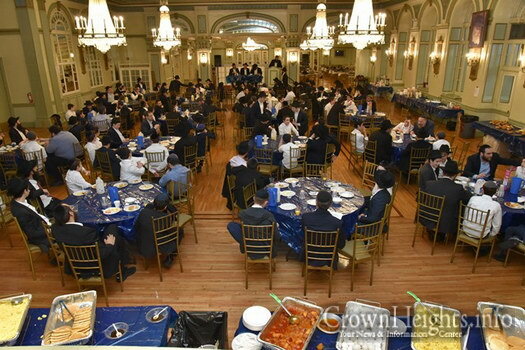 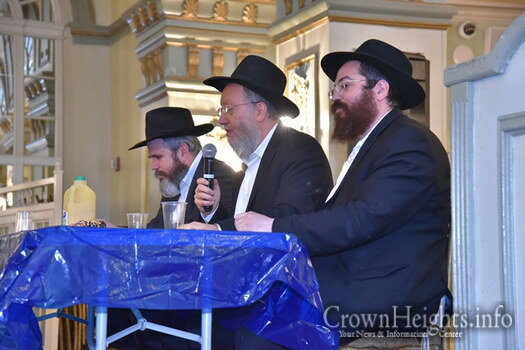 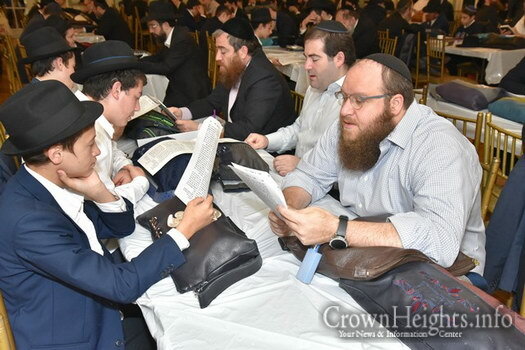 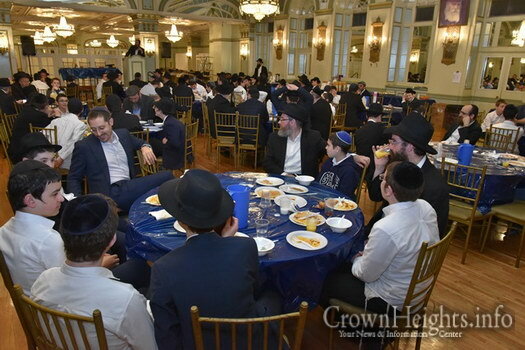 The event was organized by Rabbi Chaim Yisroel Wilhelm, Menahel of the eighth grade together with Rabbi Yossi Bryski OTEG director.